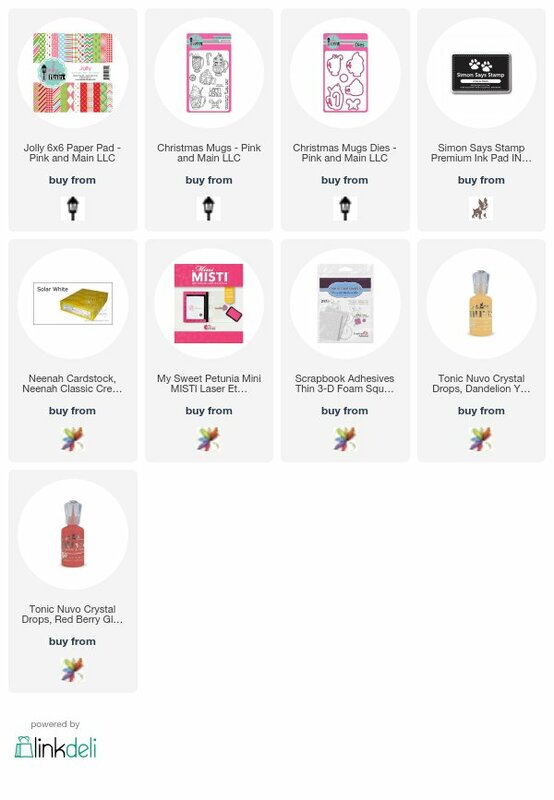 Christmas Mugs – Pink & Main & Big News! 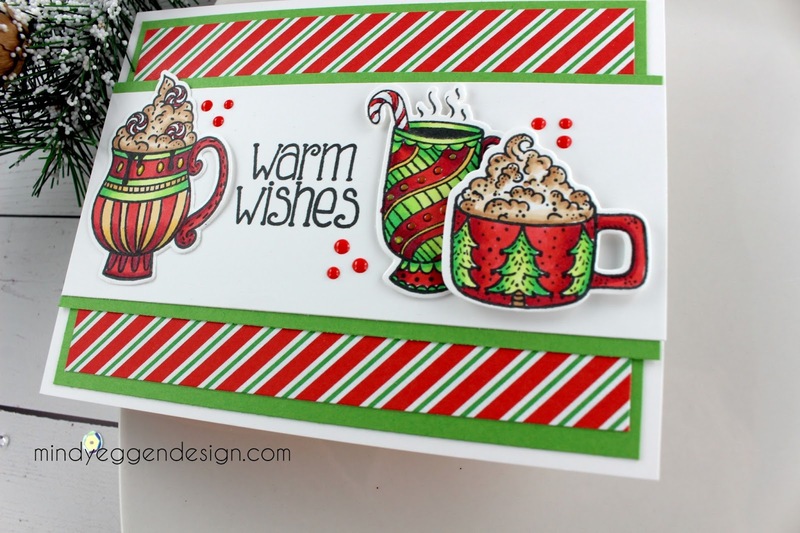 I have some exciting news to share with you today PLUS a card! I am now a Design Team member for Pink & Main!! yippee!!! You can view their website HERE. Michelle has a great variety of products that coordinate with eachother. I have known Michelle for at least 7 years back when she did paper piecing and svg files so I was thrilled when she approached me with the team position. . She is just the sweetest! One thing that really caught my attention is not only does she have stamps but also coordinating dies and paper packs too! How easy is that?! 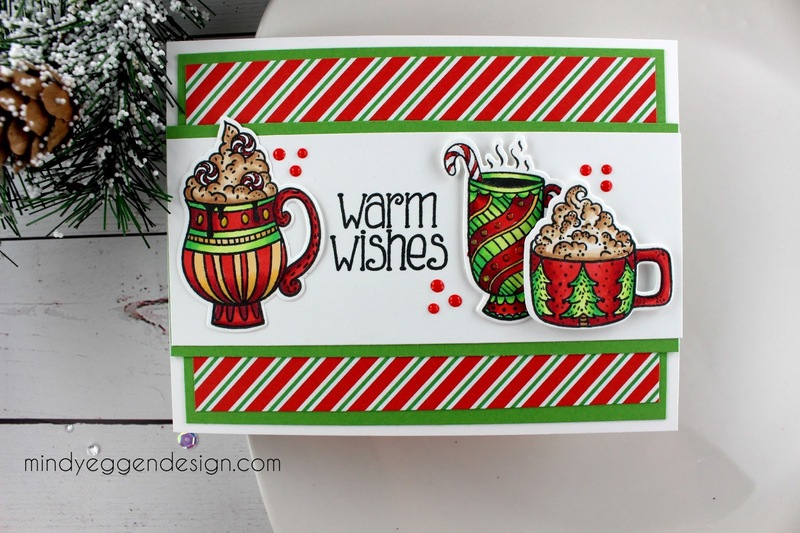 Today’s card is using the new Christmas Mugs stamp set and Jolly 6×6 paper pad. This pad is amazing! It’s funny because when I first got my package, I thought my favorite would be the adorable characters stamp set but honestly, I fell in love with how this card turned out! I stamped my images onto Neenah White cardstock with Simon Says Stamp black ink. Then I used the coordinating dies to cut them out. Simple! And these dies are amazing! They are a cute pink and run through the machine so nice! 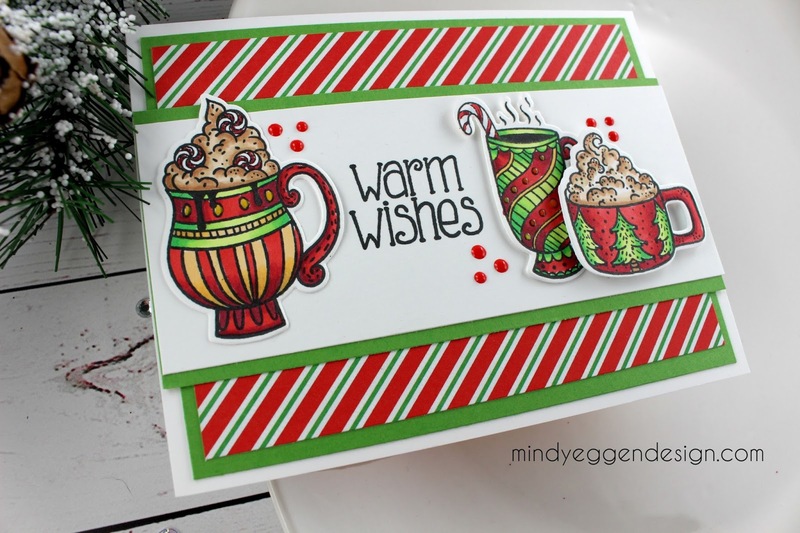 I just layered my card with cardstock and the striped pattern paper from the Jolly pack. I stamped my sentiment and added my images around it. Finishing touch with the Nuvo Red Berry drops. I also added some Nuvo Dandelion drops to the small circles on the mugs. Seriously – don’t these look yummy! It reminds me of the Santa Claus movies where he has his special mugs with the hot chocolate ! haha! I saw your card over the Pink And Main's blog and comment it was a great card. I love these colorful mugs so much, they bring me joy !! Oh and congratulations for new designer job !